It has been characterized as a historical preserved monument because it was thought to be an interesting building in terms of architecture due to its analogies. It was founded from Othon and Amalia and has been the first Gymnasium (Junior High School) in Lamia. In a magical landscape, the street to Lyhnos and close to Ypati we find Agathonos Monastery, on a height of 553 metres on the slope of Mount Oiti. 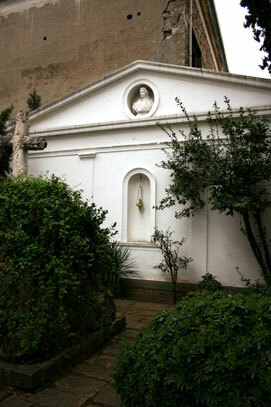 Built in the 14th-15th century it is a characteristic feature of the Byzantine Style/Architecture. The Archaeological Museum of Lamia is housed on the 1st floor of the Barrack that is located in the archaeological site of the castle of Lamia. The barrack, inside the walls of the castle, was built on the top of a steep hill, which was considered the acropolis of the ancient city. The hill, which was walled from the 5th century BC , continued playing an important role up till the Othonian era. The aim of the Workshop is to offer the chance to young and older people to obtain knowledge that will help them cultivate their artistic skills and make creative use of their free time. 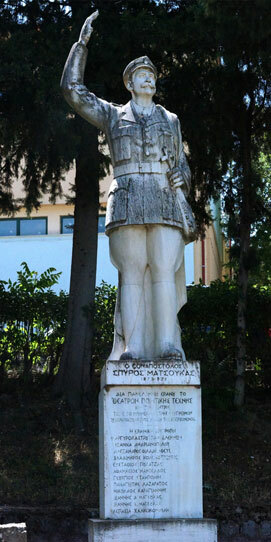 The cenotaph has been built in the memory of the tragic sacrifice of Athanasios Diakos, one of the most exciting figure of the national rebellion of the Greeks. On this bridge one of the most glorious pages of contemporary history was written. The night of 25th November 1942 the united resistance organizations of E.A.M. and E.D.E.S. along with English saboteurs following the decision made in the Allied Middle East Headquarters blew up the bridge causing great delay to the crossing of the Germans that pressured the allies in Africa. It has been characterized as a monument since it was the residence of the Hantzichristos family. Some of its members were directly related to the 1821 Revolution. 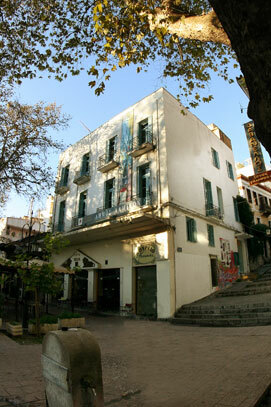 The statues of Dimitrios Ainian, Ioannis Paparrodou, Spiros Matsoukas and Ioannis Papakyriazis are in the centre of Υπατι and in the homonymous square. It is housed in the building of the so-called 'Kapodistrian Barracks', that was built in 1836 to meet the needs of the Greek army. In 1982 the building which met other uses during its history has been listed as a historical monument and in 1998 it was ceded by the Municipality of Ypati to the Ministry of Culture to be a museum. Under the planes of the Square, the meeting of the Captains Diakos, Panourgias and Diovouniotis took place on how to fight against the troops of Homer Vrionis and Kiose Mehmet that were descending to Peloponese. It is the place that the Pylaic Amphictyonic League took place.